The fictional Star Wars galaxy has been given a explosive dose of reality by energy experts who estimate the Death Star planet destroyer would require “30 trillion times all the money on earth” to run for a single day. Ahead of the latest movie installment to the Star Wars series, a UK energy company has employed the help of three universities and Star Wars enthusiasts to calculate the operating bill for powering the Galactic Empire’s massive killing machine. According to the OVO Energy, taking into account the moon-sized space station’s giant laser, hyper speed capabilities, full-sized army and much more mundane domestic responsibilities, the Dark Side of the Force can expect to pay a stellar £6.2 (US$7.8) octillion per day. While the incredible outlay hasn’t been calculated into Galactic Credit Standard space currency, Stephen Skolnick from the American Physics Society has broken down the cost of firing the Death Star’s superlaser. Skolnick believes that to destroy a planet, baddie Darth Vader and his cronies would need heaps of cash (£4.166667E+24) – and a charger emitting energy 3 million times that of the sun. He said that assuming Alderaan, a planet obliterated in the film ‘A New Hope,’ has the same mass as Earth, the star destroyer would need 10³² joules of energy behind it. According to the book, the Science of Star Wars, that’s about “two hundred sextillion times the energy of an average lightning bolt”. Just keeping the lights on across 257 sub-levels of the deep space station would also require a astronomical haul of lightbulbs – 91,547,745,149 to be exact. And assuming the space colossus operates with more than 2 million crew, the quirky energy calculation projects a daily dinner cost of £79,309.25, lunch for £118, 963.75 and £16,500 on tea. 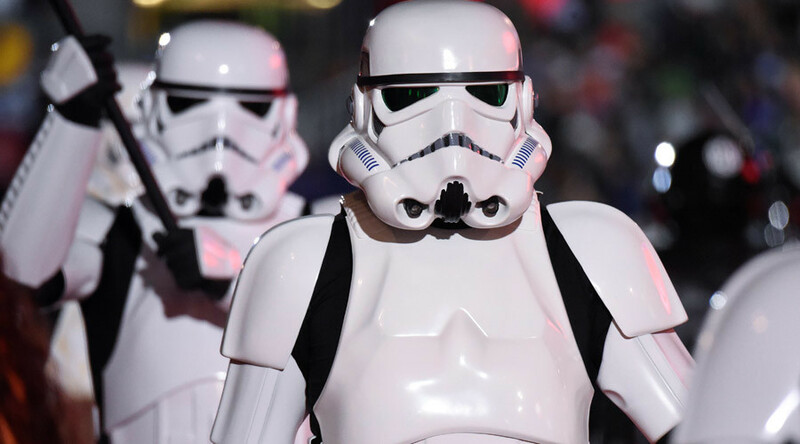 Just keeping stormtroopers and imperial guards in fresh clothing would cost almost £200,000. Using waste statistics from the UK Department for Environment Food and Rural Affairs, OVO Energy state that the infamous garbage compactor – the contracting chamber filled with trash and water monsters which nearly crushed Princess Leia, Han Solo, Luke Skywalker and Chewbacca – would see 2,341 (imperial) tons of rubbish per day at a princely fee of £456,495. Interestingly, Dartmouth University applied mathematics professor Alexander Barnett has zeroed in on the lack of Death Star recoil in the Star Wars franchise. He estimates that once the weapon of war fires one shot it would fly backwards at “3% of the speed of light”. “I didn’t notice any movement in the film, but maybe it shoots another beam behind it to balance itself out that we just don’t see,” he said.